Sunday Sale Tomorrow! Up to 15% off with coupon code: DEALS. Also FREE SHIPPING! "deals and 15% off is just for very few items, only 1 vape related item I think. Revolver Styled RDA: Perfectly paired with those shoddily built box mods so you really can shoot yourself in the face. Tugboat 24 Styled RDA: The Tugboat 24mm, multiple colors in the dropdowns. Zero 24 Styled RDA: The Zero 24mm. Same deal, multiple colors in the dropdowns. Limitless Styled 24mm RDTA: Top coil tank, looks to be setup for dual coil only. uWell Rafale X 24mm Styled RDA: Kind of interesting, not sure why they put the center post so low though. eVOlve Styled RDA: Interesting posts, 22mm, and the included drip tip and top are in a green/yellow resin. Hobo V4 Styled RDA: Back to three posts it seems. 22mm for those wondering. Flat 75mm Drip tips: 5 packs, singles, and several colors and styles in the dropdowns. Resin + SS Drip tips: To match your fancy box mods. Jade + SS Drip tips: 5 packs, doesn't look to be random colors from the listings either. Abalone Shell + SS Drip tip: Available in 10 or 13mm. Glass + SS Drip Tips: 56mm tall, swirl or polka dot. These were so ridiculous I had to include them. Resin Wide Bore Drip Tip: Looks awesome, from the discussions, it looks to fit the Kennedy 24 if you have the non-510 drip tip version. Mini CE3 Styled Kit: Avaiable in multiple colors in the drop down. Auto draw, 280mah, perfect to stealth. Expect long delays on shipping since its a battery. Authentic asMODus Minikin: Dual 18650, 120W, temp control, red and black in the dropdowns. Reminds me of the IPV D2. Authentic Tesla Stealth: 100w, 2200mah, "unregulated" mod. The chipset even allows pass-through vaping while charging without issue. Expect shipping delays due to an internal battery though. 510 Heat Sinks: 5 packs and singles in sizes from 19mm to 30mm in various colors and styles. Aluminum Atty Rings: Sits inbetween your atty and mod. Various colors, 5 packs, singles, and styles in the drop downs. POM 510 drip tip stoppers: 510 stoppers. For when you just need to cap a mod off. Probably great for anyone that does any dirty work and still carries a mod with them. Dreadlock Lion Tee: Another dope t-shirt this week. 3 Wolf Moon Styled Shirt: STYLED. It's close, but not as good as the original IMO. Magnetic Goo: Lots of colors in the drop down. Quadcopter >.>: It's tiny, multiple colors, stores itself in the controller, has a belt clip and first person view (from your phone). 200mW 532nm Green Laser - 18650 powered: Comes with a charger it seems and an 18650. Expect shipping delays if you order with the battery. eLeaf iNano Tank : 10mm diameter, 59mm tall, 1.2ohm, .8ml. Matching mod here. Basically a carto tank in an all in one package. Non replacable coil. At $4 a pop, and hoping they last for a good bit of fillings, this might not be a bad starter/stealth/backup kit. Authentic Tsunami 24 : GeekVape Tsunami 24mm in black and silver :) Coupon MAP takes $7.57 off. OBS Crius tank: Velocity deck, side/top fill, juice control, 25mm (22mm in drop downs). This feature list looks to be becoming the norm on these new tank releases. Really love the style of this one. VGOD TRICKTANK: FAT CLOUDS AND MAD TRICKS BRO! 24mm tank, wide open airflow, replaceable coils, 3ml capacity, TRICKS FOR DAYS! Stab wood + SS Drip tips: Several styles in the drop down. Sadly only available in random colors, unless you want the 17mm in red. Turquoise + SS Drip tips: TONS of styles in the drop down. Just about any color you could imagine to match your mod. Glass + SS Drip tips: Various colors of glass. Not available shorter than 24mm though... so hope you don't mind the length. Think Vape DNA75: Authentic Evolv DNA75, 26650 battery, available in black or red. Coupon MAP takes $4.59 off. Smiss Emili Kit: Styled like a real cig, but seriously don't avoid it because of that. Refillable tanks, 100mah battery, 1300mah case. Available in several styles. Juul killer? Doubtful... Awesome in it's own right? Definitely. Griffin 25 - Glass : Various styles and amounts in the drop down. Griffin 25 - ceramic Block : In white, 5 pack in the drop down. Griffin 25 - Air intake: Replacement air intake in silver and black. Griffin 25 - 26 piece kit : O-rings, allen key, grub screws, 510 drip tip adapter. Avocado 24 - SS Drip tip in Black : Replacement drip tip in black for the Avocado 24. Avocado 24 - 9 piece kit : Drip tip, o-rings, grub screws, allen key, glass, insulator block. Avocado 24 - Insulator block : Insulator block, 5 packs in drop down. Cat + Taco + Pizza: The best t-shirt. Other styles and sizes in the drop down, but let's be honest, this is the best one of the bunch. Maple Decks: Various colors in drop down including pink, blue, grey and wood. Comes with grip tape pre-applied. Aluminum Trucks: Same deal here, 5 colors including white, green, blue, black and yellow. Steel Trucks: Available only in black. Replacement kingpins w/ nut - 8 pack: Available in green, orange, or pink. Bearings: These go inbetween the wheels and trucks. Available in ABEC7 or 9. Hilariously, the red ones DO go faster. Heron V2 Styled RDTA : Think Taifun, but with O-rings instead of threads. Shingen Styled RDA : Top airflow dripper. Comes with a regular and wide-bore top cap. The posts look like they can fit any size wire you throw at them, but not sure how well they will hold up. Origen V2 w/ PEI top cap : 3 different styles of PEI top caps in the drop downs. Genesis styled for anyone thats not familiar with the Origen. Top caps available stand-alone here. Authentic Artery 49er Tank : Kind of reminds me of the Moonshot. Looks like it could be a great tank as long as you don't want to rebuild. Zero Styled RDA : Pretty sleek looking RDA. Looks to have grub screws to close off for single coil, but I'm not sure I understand the purpose of some of the extra pieces included or why the base is built like this. Anyone have any insight? Authentic Augvape Merlin RTA : Looks like a great single coil RTA. 4ml capacity, fits the notch coil, has juice flow control, and its top fill. Hard to ask for much more out of an RTA honestly. Authentic HCigar VT75 : DNA75, 26650 or 18650. Available in several different colors. This is looking like a great use for the DNA 75. 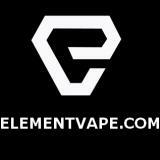 Coil Sampler Pack : 0.2 Notch, 0.4 Notch, 0.6 Notch, Alien and Fused Clapton coils. Also comes with cotton. For $12, it's hard to beat if you want to try some different coils. Fully assembled "Useless Box" : Not much to say here, these things are completely useless, but awesome nonetheless. Tons of styles in the drop down. It's a T-shirt... Just look at it : I have nothing to say. Someone please buy and take pictures. Automatic Fruit Peeler : Have you ever wanted a delicious apple, but hate the skin and you're just too lazy to peel it? Well this will take care of all your issues. Now you can be lazy and healthy. "i was going to make a post about this but just figured i'd send it to you. FT has cloned the griffin 25! black & ss. **LINK DEAD** i have both the original authentic griffin 22, their ft clone, and the authentic griffin 25. i learned that most of the clone parts fit the authentic on the 22, & it's actually cheaper than purchasing authentic replacement parts if you want or need spare parts. geekvape doesn't even offer replacement parts for the 25 yet. but i did find vaportekusa does has some interesting replacement parts for the 22 which nobody else does." A little light on listings this week. FT listed a TON of lighters, puzzles, shoes, etc, and hardly any drip tips or other vape stuff. Authentic OUMIER Demon Tower : Another square atty. This one is an RDA though, so no need to worry about funky airflow. Illustrious Maxx Styled RDA : All the airflow! Attys like this are pretty much a dime a dozen, BUT this one actually lets you close off the bottom airflow completely. I feel like you could actually dial in the airflow to something not completely ridiculous with this one. Authentic Kangside KSD DK 22 : Available in blue/black/silver. Looks like it might be a pretty nice tank. Replacement coils in SS, Kanthal, and Ni200. Subtank Mini Styled : Yeah nothing mini about this at all... 22mm diameter and **9 ml** capacity. From the preview picture, I figured this was 17 or 18mm version, but nope, its just the 22mm version thats about a foot tall. Reuleaux Big Screen : Pre-order currently. But for only $46.60, it may just be worth the wait. PEI and SS Atty Rings : Keep your atty from scratching your mod. I probably wouldn't go with the SS version, but the PEI looks like it would do a good job at keeping your mods from getting those nasty atty rings. Authentic Coil Master 521 Tab : I'm sure you've all seen this thing before, but for those that haven't, this is basically the ultimate build station. Measures down to .01 and fires down to .2. XTAR SV2 : Charge up to 2 amps on batterys up to 32650 size with full LCD readouts. USB OTG Fan : So any modern android that supports OTG will work with this. Seems like a great way to ruin your battery life honestly, but still pretty neat. 4 Port USB OTG Hub : Interesting... Normal USB hub, with a micro USB for OTG usage. Grab a cheapo power bank and you can connect all your powered devices to your Android phone/tablet without an issue. Foldable Document scanner?? : Why even make it foldable when the thing is still going to be huge. Whatever though, still an interesting idea.